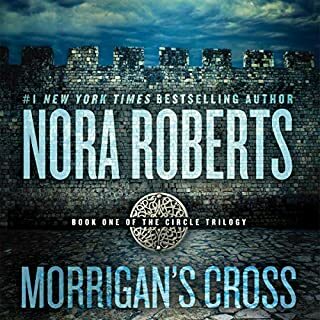 #1 New York Times bestselling author Nora Roberts continues the thrilling trilogy of a town plagued by evil - and the three men and three women brought together by fate to fight it. Now, as the dreaded seventh month looms before them, the men can feel the storm brewing. Already they are plagued by visions of death and destruction. But this year, they are better prepared, joined in their battle by three women who have come to The Hollow. Layla, Quinn, and Cybil are somehow connected to the demon, just as the men are connected to the force that trapped it. I have always read how some Narrator's are bad and then listened to that book and not agreed. However, this time listening was like pulling teeth. I couldn't tell which character was which as there was very little tone change per character. It also didn't help that 3 separate Narrator's were chosen to read a trilogy. Next time, please select one Narrator for all 3 books so we can at least keep the character's consistent. Creepy used to be one of my favorite genres before I somehow wimped out and couldn't take it anymore. But, this one had just enough creep factor without creeping me out. Totally enjoyed this series. Listened to all 3, but got the other two from my local library. I liked Phil Gigante in the first book. I would have preferred the same narrator for all 3. But, it didn't kill the series for me, so I guess it was ok. I like the story. The author brought depth to his characters. The characters are warm and alive in the story. The story moves along well in some places you hold your breath because not sure what is going to happen. I like this book because of the various emotions that are displayed in this bring you to the edge of your seat, or make sigh with relief, and love the romance that the author brings in with the six main characters. Especially the two characters who have to work together but rub each other the wrong way. It is very good book. One I enjoyed very much. What made the experience of listening to The Hollow the most enjoyable? the story is great. 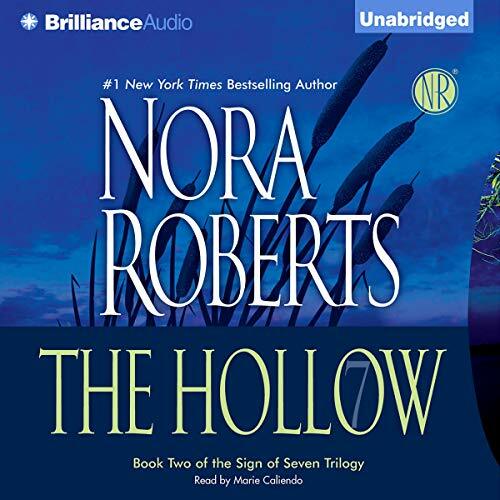 I love Nora Roberts books and I also love the supernatural, this book has the best of both worlds. I liked the mystery of Anne Hawkins, Giles, and Hester's story, along with the suspense of where the group of six falls into their line. The "demon" is also something to wonder about. She seemed to be reading the story for the first time. Drawing out the first syllable of each sentence as if she were stalling for time to read the emotion supposed to be put into this sentence. It's annoying, and amateur. There are also obvious flubs throughout the reading where she mispronounced or started to say the wrong word, then quickly righted it mid-word. If I were someone listening to an audiobook for the first time, this would have been my last. parts made me laugh, parts made me cry but only because I was able to get past the horrible narration and view it from my mind's eye. I'll never listen to another audiobook read by Marie Caliendo, even if it is a great book. I'd rather buy the written book and read it aloud to myself. Promised myself I'd finish the series after taking heat on book 1. Wasn't thrilled at first on the change in narrator, however after a while I got used to it and moved on. I liked the way the author tied the first book to this one, kept it short but refreshed the story line. Some authors in series tend to drag too much of previous books into the next one in the series, Nora didn't do that as much as others. Liked the characters, this book focused on the story and the background on two of the other characters. I guess the last two of the six will be in the last book in the series. Not my normal fare, but again, I found this enjoyable and easy to listen to. The narrator is AWFUL!!!! The narrator of the first book-Phil Gigante- is amazing. So why oh why did they change the narrator after the first book?!?!?! Truly unfortunate because it's an entertaining story. It's difficult to listen to when the distinction between characters is at best vague and at worst vague and inconsistent- as if she can't keep them straight. I think the low point in this book was a plot-critical scene in which a character is reading aloud. The narrator made her sound like an illiterate teenager with no recognition of punctuation! It was so bad- I actually struggled to follow what she was saying. Tragic. Beyond that, I became annoyed when the narrators portrayal of a well established character comes off dull witted and marble mouthed or worse...ditzy! It's a real downer when you've invested in a character for an entire first book only to be annoyed by the sound of their voice for the rest of the story. A real let down. Nora Robert's has done it again. Marie Caliendo does a excellent job. love it so much. I found book 2 to be captivating. 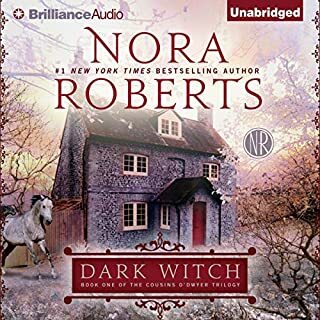 Even though I wish the books weren't read by different people for the same series, I enjoyed this narrator more than book 1's! Part one of this series is great and Phil Giganti was an awesome narrator for part one. I have no understanding why they would switch the narrator with one that is just so bad. In book one Phil Giganti gave Leila a New York accent in this book you can't tell the difference between the women and who are the men. I am just trying to get through because the story really is good and I'm looking forward to book 3. Unless you get these stories at a lower rate like I did you are better off reading book don't waste your credit. 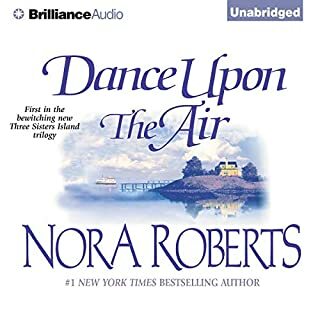 The story is really interesting Nora Roberts really is a great author. I'm a JD Robb fan and these stories don't disappoint. Happy Reading! Didn't get there. Couldn't handle the cadence. Worst narration I have ever experienced and i've listened to a couple of books voiced by volunteers. Frustration and anger because of the narration. 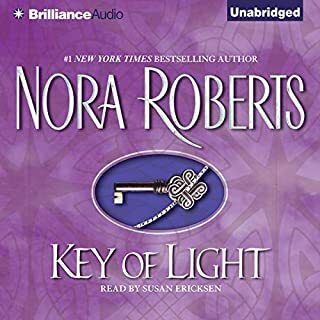 I'm sure Nora Roberts and her producers make plenty of money so please don't cut corners when it comes to the talent. The performance is HUGE for an audio book! Duuuhhh! After listening to the Americana, hysterical dialogue, cheap puns Blood Brothers, I put the story away with no intention to returning it. Also being shocked that it's a damn trilogy! A couple of years passed and I found myself curious about the second book. So, having a spare credit I gave it another chance...now I definitely know that I'm not going to finish this story! The Hollow is even more cheesier than BB. This book could have literally been ten chapters long. It was SOOOO boring and cringy. I wished that I had just fast forward to the ending, so that I could of been disappointed a lot sooner, rather than listen to the tripe about the main characters and all their false drama. 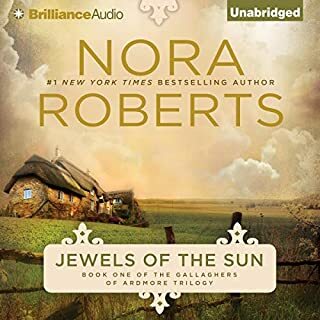 Why Nora Roberts thought that this would make a good trilogy I will never understand? It definitely should have been a standalone novel. Sorry Audible, but this one is coming straight back to you. The context of an historical witch-burning is hard to carry forward into the swirling-blood and boiling water in the woods context. . . or is it just that I suddenly found myself in the wrong genre? Despite this, Roberts does characters with such ease, and there are three nice couples involved here, each with their own personality, as developed throughout the series. 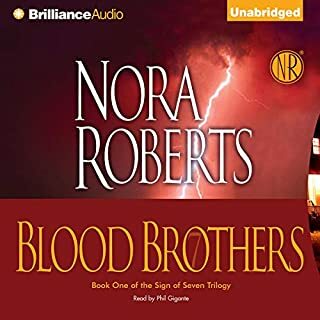 This is the second book in Nora Robert's Sign Of Seven Trilogy. The six main characters introduced in the first book continue to research their own history and that of their enemy, searching for a weak point in the demon's defences. Meanwhile, they are plagued by a series of incidents and time is running out for them. The final climax certainly looks as though it will be interesting. A highly entertaining 2nd installment. A thrilling middle to the trilogy. I much preferred to performance of this installment. The women sound strong and vital just as they are written.